Call 1-800-450-5319 or fill out the form for a FREE quote and to learn more about how you can ship your vehicle to Morocco through A1 Overseas International! Contact A1 Overseas International for your auto transport to Morocco. Importing a vehicle into another country always features its obstacles. However, with a reliable international auto transport company and the assistance of Customs, having your own vehicle to travel the country in can be achievable. 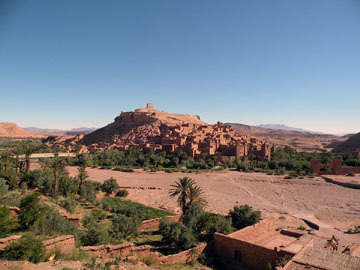 With as diverse of a nation as Morocco is, regulations for vehicle transport are ever-changing. Contact Morocco Customs a couple months in advance to assure that you prepare for your automobile’s export in a time efficient manner. The proper documentation will need to be cared for as soon as possible and before the vehicle is set to make it journey over the sea. There will be several options in regards to how your vehicle is transported internationally. One of these methods is a very unlikely option seeing as it is costly to utilize. Container Shipping- includes putting the vehicle in a large shipping container. The vehicle can be filled with belongings in compliance with Customs, as well as the rest of the space in the container. The cost of container shipping is usually split between two people as one container can fit many possessions aside from the vehicle itself. RO/RO Shipping- this method of transport is known for being the cheapest and most popular way of auto shipping internationally. It requires the vehicle to be drivable so that it can drive onto and off of the flatbed of the ship. The vehicle will be left in the open during its transport, but is protected by the shipping companies insurance policy. Air Shipping- while this method assures a very timely arrival, it is the most expensive. Not many people can afford the luxury of vehicle shipping through flight. CContact 1-800-450-5319 or fill out the form for more info and a FREE price quote on boat, motorcycle and car shipping right now!